Both simple and composite polygonal items can have internal polygons. These are polygons that are entirely located within the borders of another "mother" polygon and are considered to be part of that bigger polygon, rather than separate items. They are only used if the mother item contains parts that represent a different geological or other phenomenon, both parts belong to the same category (and there is no specific type of item from that category that the lesser part could belong to). 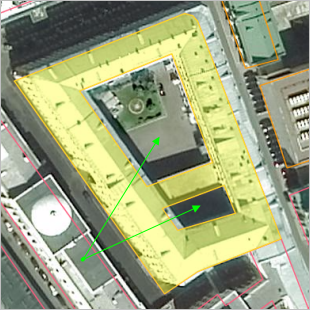 For example, you should use an internal polygon if you need to draw a courtyard (courtyards are part of the Building item category; there is no separate Courtyard item type on Yandex Map Editor). 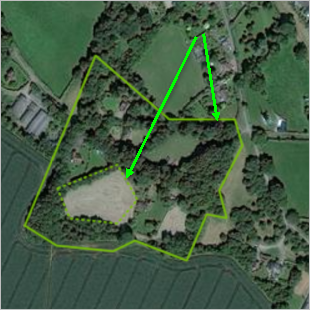 You would also use an internal polygon if you need to draw a clearing in the woods (clearings belong to the Woodlands category, but there is no Clearing item type on YME). If you need to draw an item within the mother polygon that belongs to another category (i.e. not the category of the external polygon), then you should not usean internal polygon. 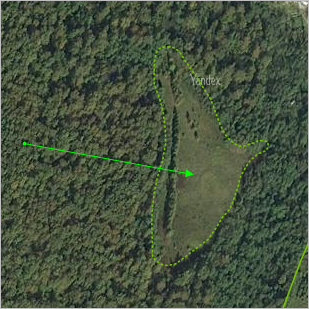 For example, a reservoir in the woods should not be drawn as a separate Reservoir polygonal item. Otherwise you will have to draw the reservoir twice: as an internal polygon of a woodlands item and as a Reservoir hydrographic item. When this happens, the borders of the two polygons that represent the same item inevitably don't match, so it doesn't display correctly on the map. If an archipelago is located within the borders of two different hydrography items, then you must create internal polygons for it within both of those items. Terrain items located on islands. 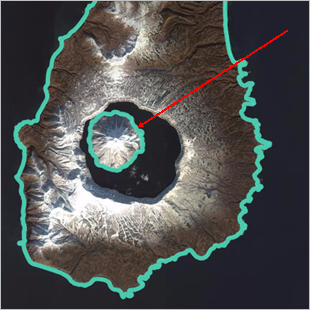 For example, a volcano on an island can be drawn as a separate terrain item, but it should not be drawn as an internal polygon within an island item. If you need to draw an item like a reservoir within a woodlands area (i.e. 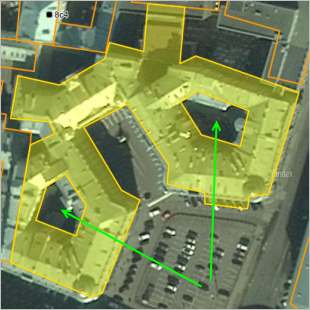 you have a situation where you can't use an internal polygon), but it is located within a clearing (i.e. you should use an internal polygon), then draw the item using a combination of an internal polygon and a regular polygon.